An interesting email from someone in the Tromsø office regarding my interest in a February 2016 sailing on MS Lofoten: "By the way, if you would like to or could travel later than in Feb ’16 then we have a new ship MS Spitsbergen sailing parallel to MS Lofoten starting from May 2016. The interesting thing is that the new vessel will have an expedition team onboard and there will be lectures and special hikes etc." The name and schedules will be released 7th September. Yes I saw the same. I guess it's offline until the 7th. Great choice of name I think and if they market her as a 'small ship' like Lofoten then it could work. Maybe they have a surprise in terms of renovation...a modern ship reflecting the traditions of Hurtigruten. We all know that Lofoten has sadly only a few years left but there is clearly a market for that type of 'intimate' sailing, so why not? Hurtigruten has now published General Arrangement Plans for the new Spitsbergen. This ship differs from the rest on one special point; there is no car deck or car port. On deck 3 there is a expedition landing deck instead. Other differences; no walkaround deck and no top panorama saloon. Instead there is a forward lounge on deck 6, beneath the bridge. Next winter she will enter the service with her own sailings. But from the summer season 2017 it looks like she will do exploring. Last edited by Sigve; October 12th, 2015, 17:53. As far as I know, she will enter service on May 1st next year, right? I wonder if a shipyard to do the conversion has been chosen or is it still some time ahead before that is announced. Rumors in maritime circles tells me that she will get a new stern, replace all fenderlists on the shipside with something similar to the current ships, and naturally, a lot of interior works. First departure is 8th May from Bergen, according to Hurtigruten's small MS Spitsbergen brochure. The conversion will take place in Öresundsvarvet, Landskrona, Sweden. According to local paper FOSNA FOLKET, the Spitsbergen might already arrive at Rissa this coming Sunday 8th of November. According to marinetraffic, Norway Explorer has left Sweden a few hours ago, and is headed for Rissa. Currently between Haugesund and Bergen, far out to sea..... wonder what time she'll be at Rissa? Should we assume ETA KvitHylla around 20:30 - 21:00 on Sunday evening? I would love to see some pictures on her arrival if possible. Sadly, I haven't been able to visit the shipyard yet, but I hope to get some picture within this week. View of MS Spitsbergen taken on 15 November from MS Nordlys whilst on a Round Trip. Thank you so very much for sharing, Linray! Additionally, local paper Fosna Folket has been on board the new ship SPITSBERGEN and made this video. Unfortunately for the non-Norwegian speaking audience, the "lyrics" are Norwegians while the views are very international. OOPPPSSS.... I think I forgot the link in previous post! In 2016 she will sail additional curises with changed schedule during summer. From Sptember 2016 until March 2017 she will replace Midnatsol, until MS goes to Antarctica. That means also: MS Lofoten will remain in regular service for two more years! April 21 2016: The Spitzbergen is absent from all departure lists for May-August. First departure of Spitzbergen is now September 7, when she takes over Midnatsol's schedule. This means that all explorer cruises, parallell with Lofoten, are cancelled. The reason for this, might be the fact that the conversion of Atlantida into Spitsbergen takes much longer time and is far more complex than anticipated. I don't know, there may be other reasons. But a delay of near four months....? I have seen on another forum someone who had booked a sailing with MS Spitsbergen in May, which has been cancelled, but it seems they have been re-booked by Hurtigruten for a sailing in June, so she might still be on for this summer? 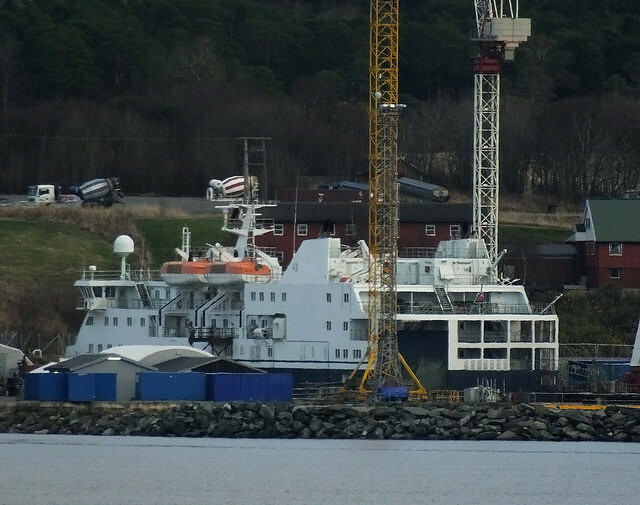 There has been delay this year with many ships in dockyards, and particularly those undergoing full internal refurbishment (MS Nordkapp is in this case at the moment). This doesn't give a good image. I crosschecked the situation in the German "Hurtigforum" and there is a huge discussion going on, because some of the members were booked in for the first tours and are struggling now with cancellations and changed bookings. These cancellations were argued with technical problems during the conversion of the ship. But they know only about the trips in May.